Cobi Hamilton (born November 13, 1990) is an American football wide receiver for the Pittsburgh Steelers of the National Football League (NFL). He played college football at Arkansas. He was considered one of the top wide receiver prospects for the 2013 NFL Draft. He was selected by the Cincinnati Bengals with the 197th overall pick in the draft in the sixth round with a selection acquired from the New England Patriots in 2011 for Chad Johnson. Cobi attended Texas High School in Texarkana, Texas where he set the Tigers’ single-season receiving yardage record as a senior with 64 receptions for 1,071 yards and 14 touchdowns. He was all-district and all-area in his career and he was named the All-Northeast Texas Offensive Player of the Year. As a junior, he had 29 receptions for 726 yards and seven touchdowns. He was a high school teammate of former Arkansas quarterback Ryan Mallett. Hamilton was also a standout athlete for the Texas High School track team. He finished fourth in the 200 meters at the AAU National Junior Olympics, with a time of 21.41 seconds. He finished 4th in the 100 meters at the 2009 Region II-4A Championships, with a career-best time of 10.60 seconds. He also ran for the Arkansas track team. He ran a personal best of 21.09 in the 200 meter. Considered a three-star recruit by Rivals.com, he was rated the No.63 wide receiver in the nation. He accepted a scholarship offer from Arkansas over offers from Missouri, Oklahoma State and Texas. Hamilton (11) with the Arkansas Razorbacks. Hamilton attended the University of Arkansas from 2009 to 2012. As a senior he was an All-SEC selection after recording 90 receptions for 1,335 yards and five touchdowns. The receptions and yards were school records. On September 22, 2012, he set an SEC record for receiving yards in a game with 303. He finished his career with 175 receptions for 2,854 yards and 18 touchdowns. 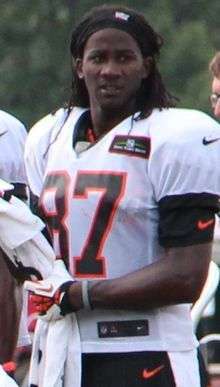 Hamilton was selected by the Cincinnati Bengals in the sixth round (197th overall) of the 2013 NFL Draft. Hamilton was on the Bengals' practice squad for the entirety of his rookie season. He started his second season on the Bengals' practice squad. On September 10, 2014, Hamilton was signed to the Philadelphia Eagles' practice squad. On October 6, 2014, the Philadelphia Eagles' released Hamilton. On October 13, 2014, the Cincinnati Bengals resigned Hamilton. On December 24, 2014 he was promoted to the 53-man roster. On July 30, 2015, he was waived by the Bengals. On August 1, 2015, Hamilton was claimed off waivers by the Miami Dolphins. On September 5, 2015, he was released by the Dolphins. The Carolina Panthers signed Hamilton to a futures contract on January 12, 2016. On July 25, 2016, Hamilton was released by the Panthers. On August 5, 2016, Hamilton signed with the Pittsburgh Steelers. On September 3, 2016, he was released by the Steelers as part of final roster cuts. The next day he was signed to the Steeler's practice squad. He was promoted to the active roster on October 15, 2016, and a day later, caught a 23-yard touchdown pass, his first in the NFL. ↑ Wilson, Logan (April 27, 2013). "Bengals draft Hamilton in sixth round". North West Arkansas News. Retrieved April 29, 2013. ↑ "Panthers sign seventh to future contract". Panthers.com. January 12, 2016. Retrieved January 25, 2016. ↑ Labriola, Bob. "Steelers cut to 53, trade for CB". Steelers.com. ↑ "Steelers add 10 to practice squad". Steelers.com. ↑ "Steelers Promote WR Cobi Hamilton To Active Roster, Cut CB Al-Hajj Shabazz".